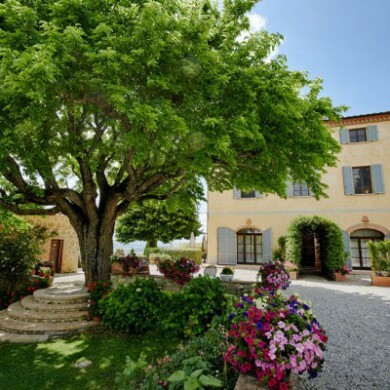 This majestic historical villa dates back to the 13th century. 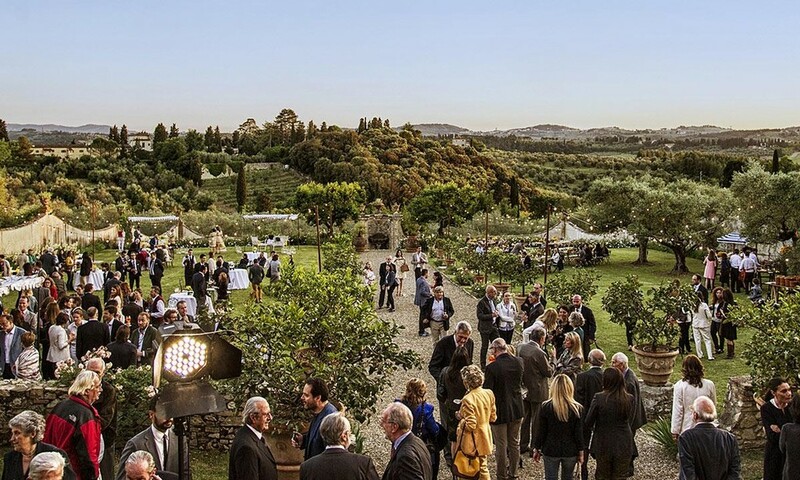 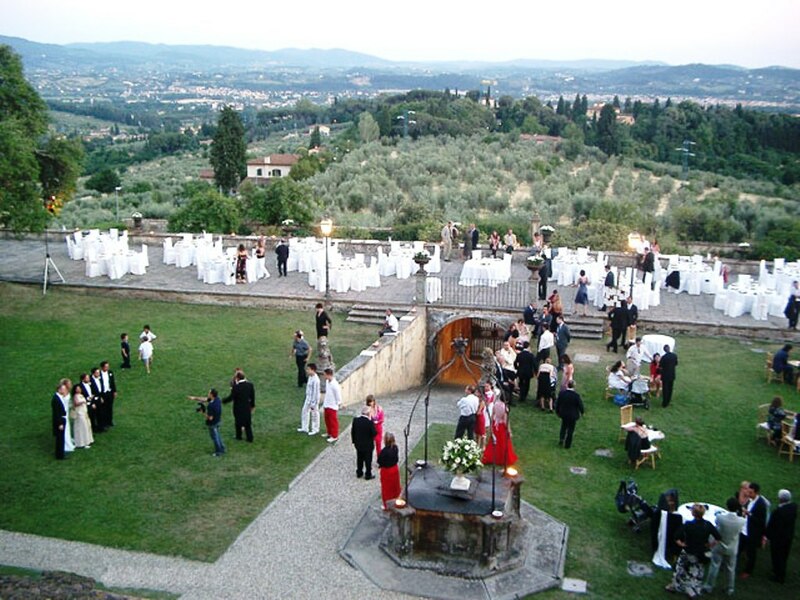 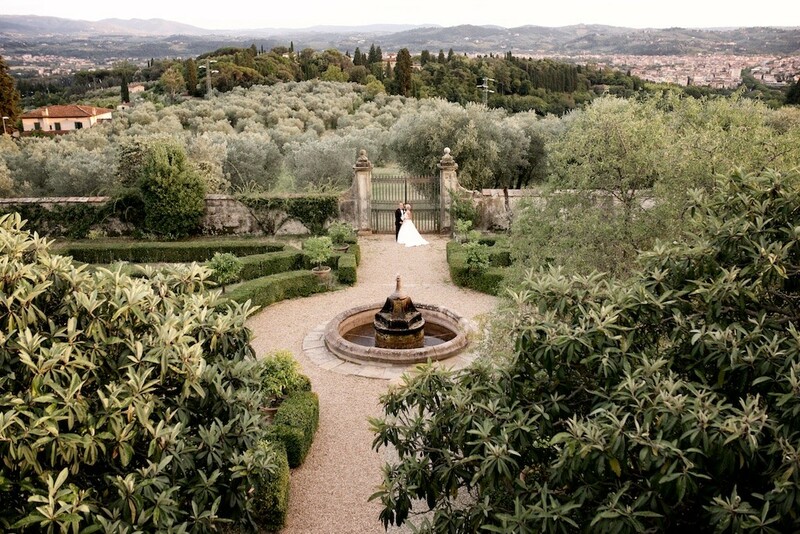 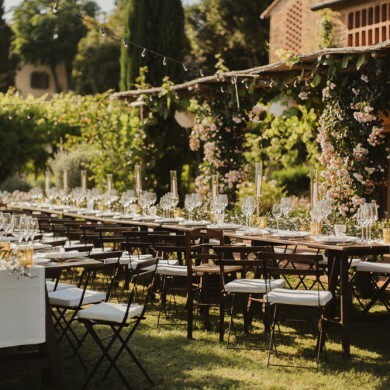 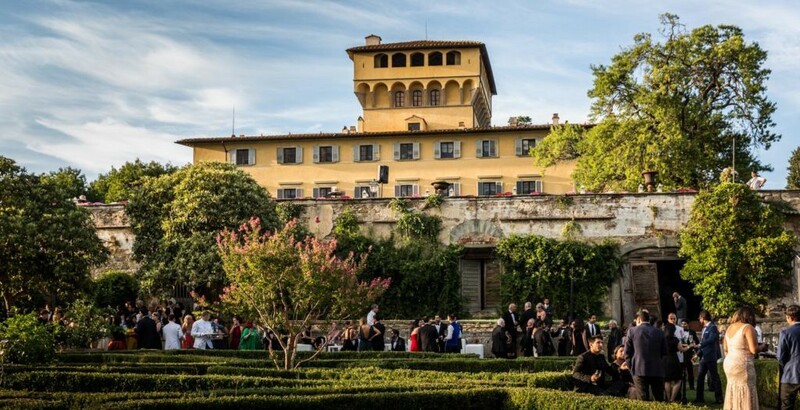 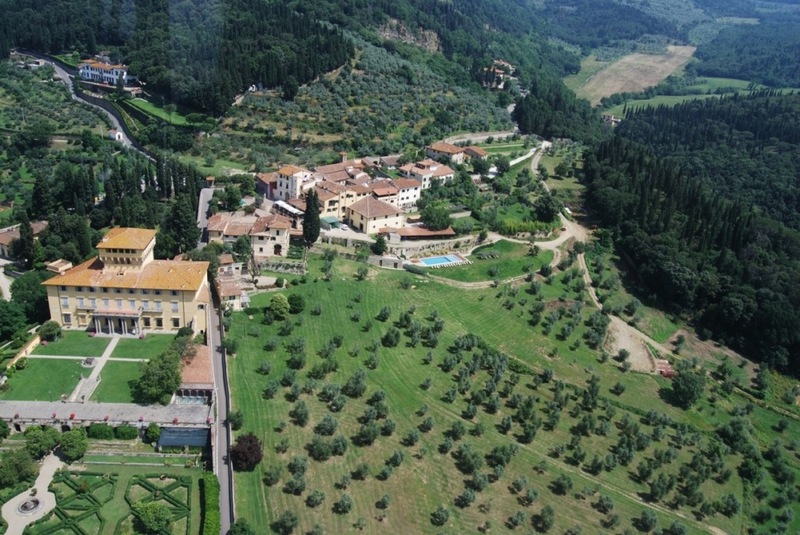 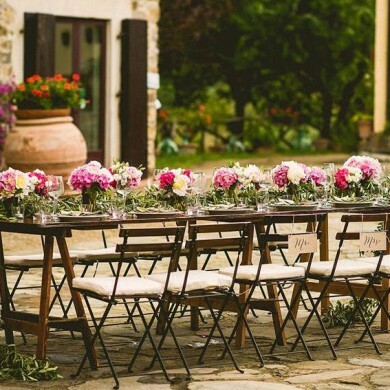 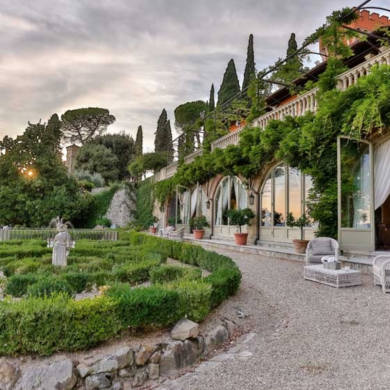 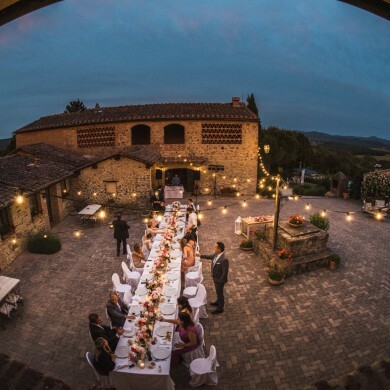 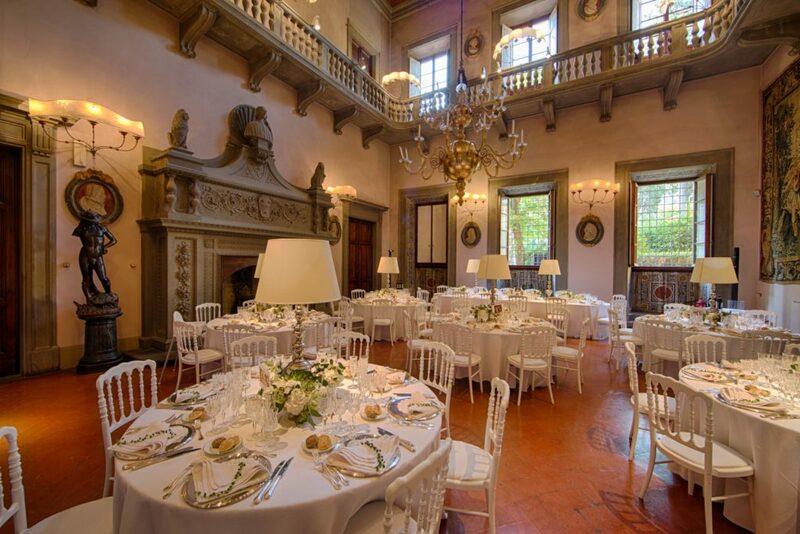 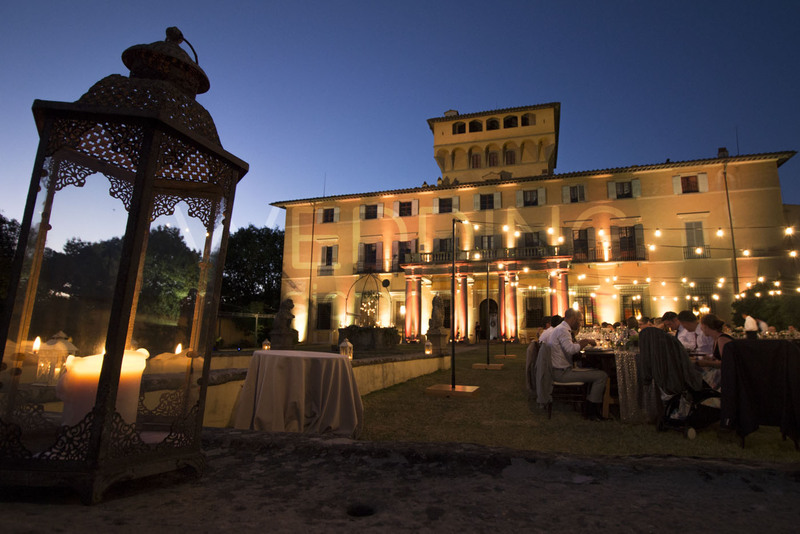 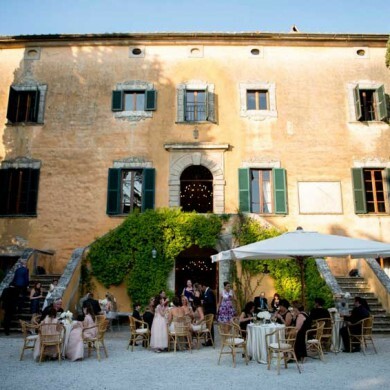 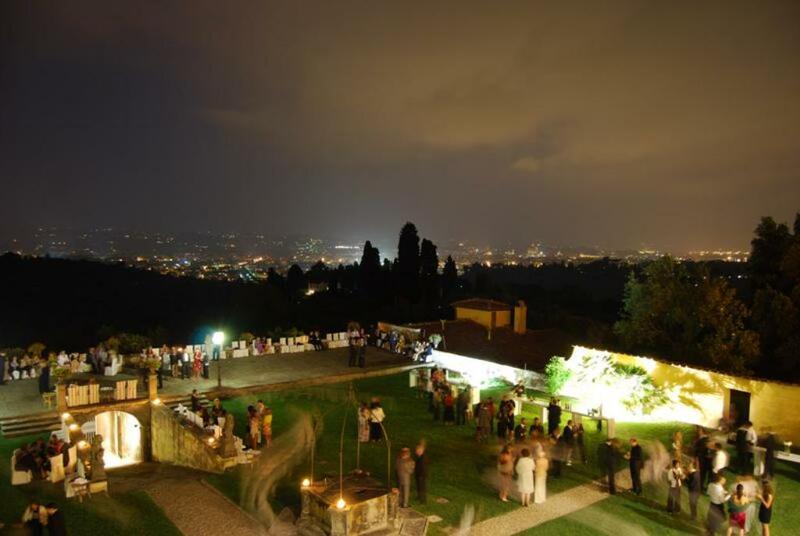 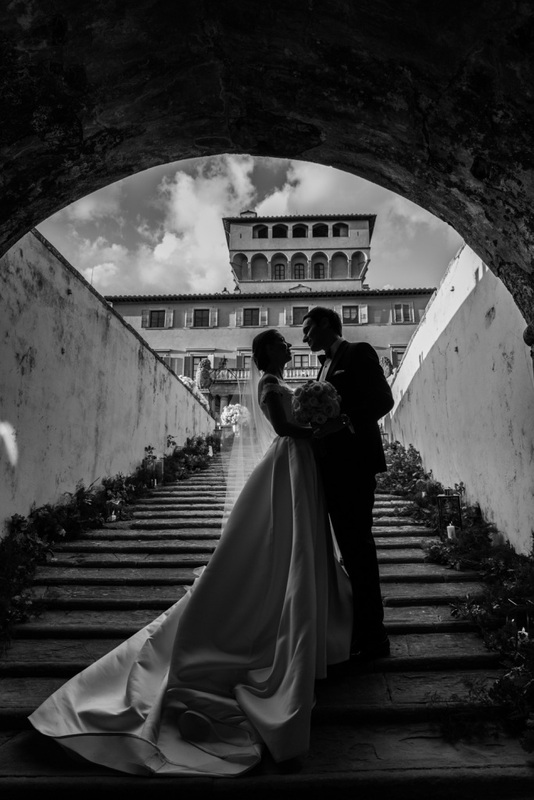 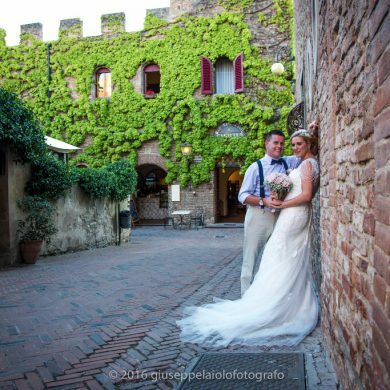 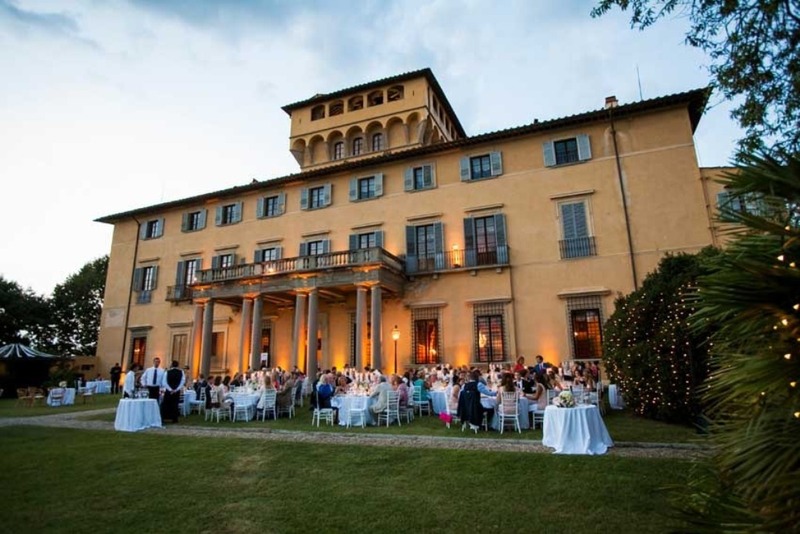 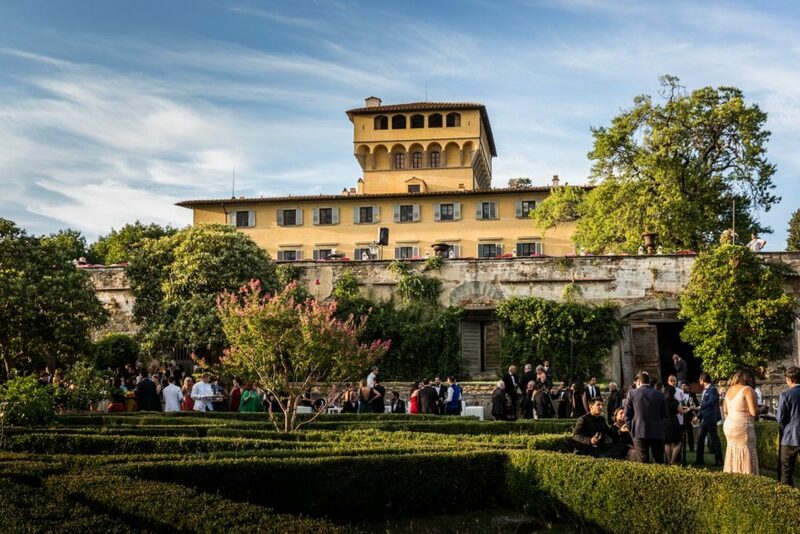 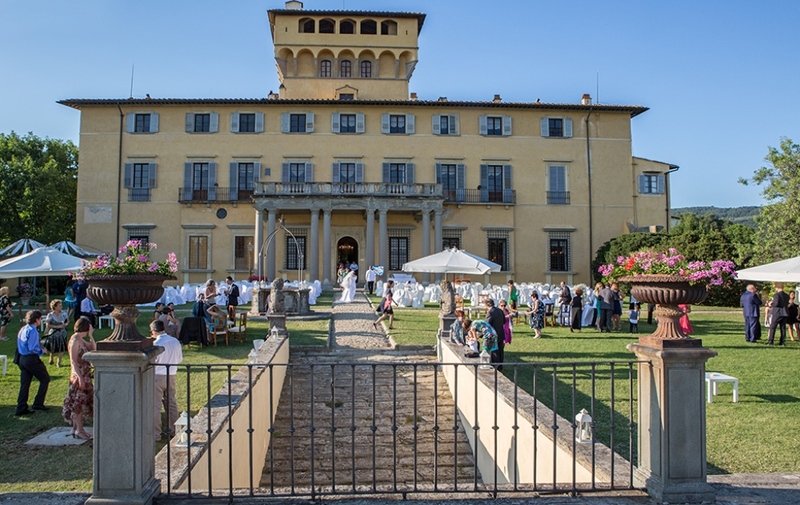 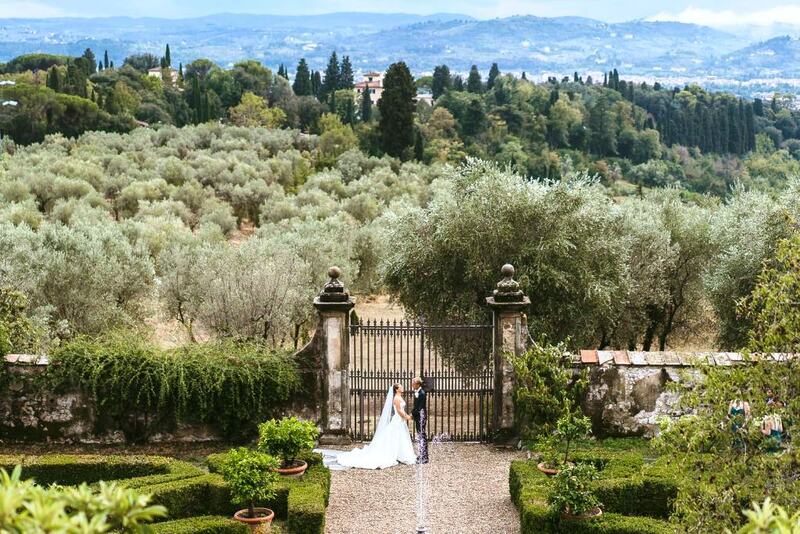 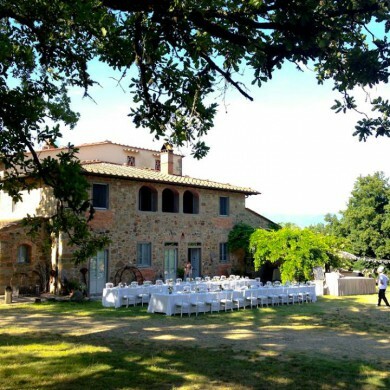 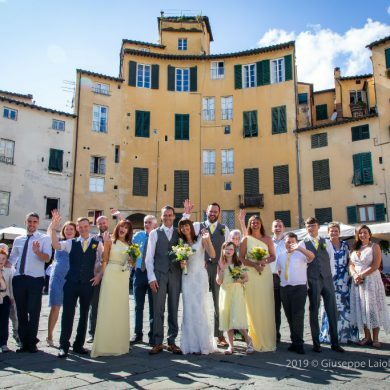 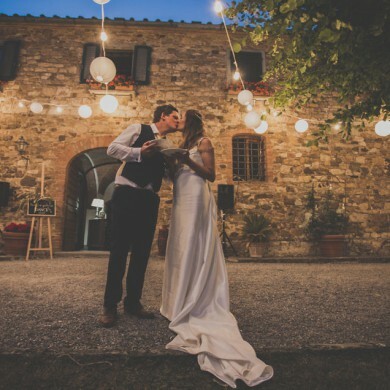 Just 5 km away from Florence but yet fully immersed in Tuscan peaceful nature of the hills overlooking the city , this villa is the ideal background for refined weddings. 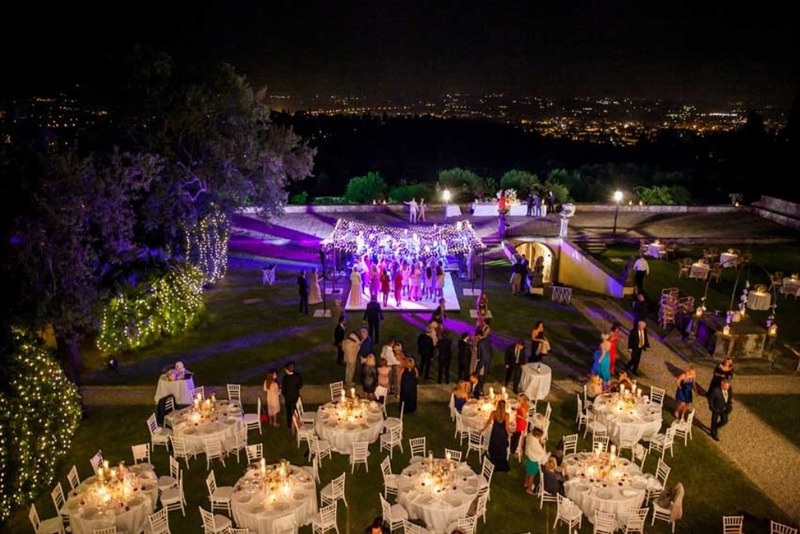 The beautiful park offers an elegant backdrops for weddings up to 150 guests. 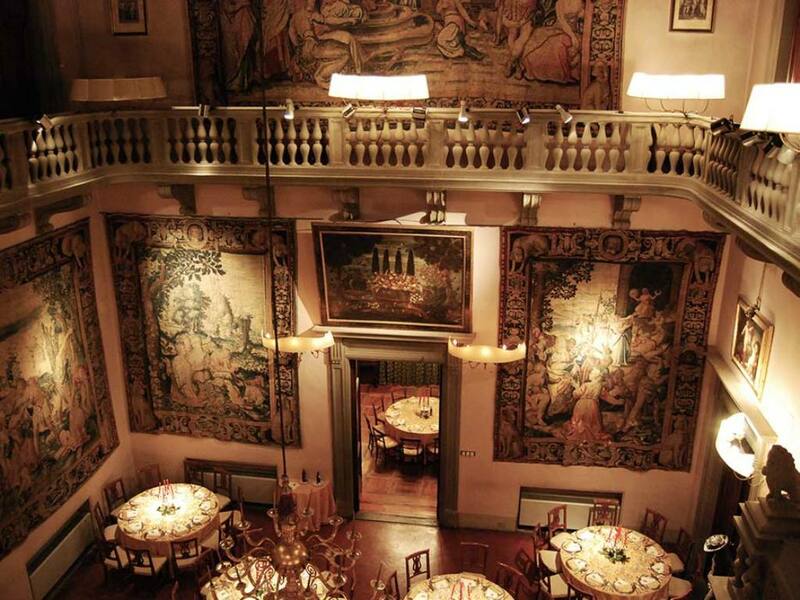 Amongst the rooms ofthe ground floor there is the Red Lounge where James Ivory filmed some of the scenes of “Room with a View”and book lovers can also admire the vast collection of precious volumes put in place by the thirs owner Sir John Temple Leader who made the villa his lifetime residence. 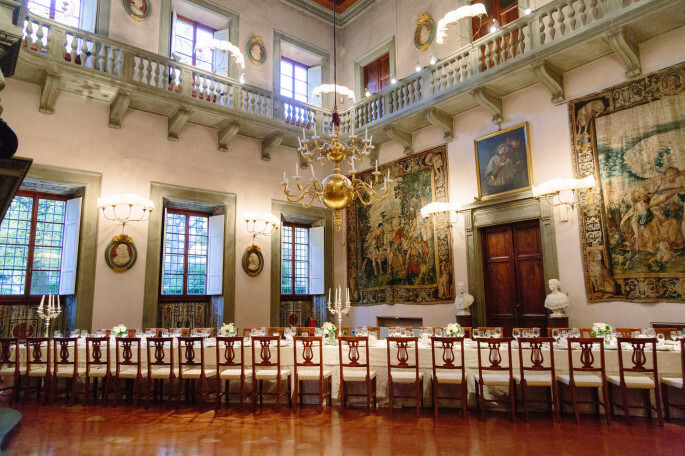 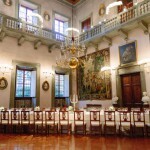 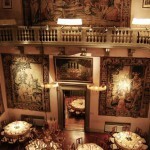 Wedding reception can take place in the Tapestry Room on the ground floor, the main reception hall of the villa which can host up to 150 guests. 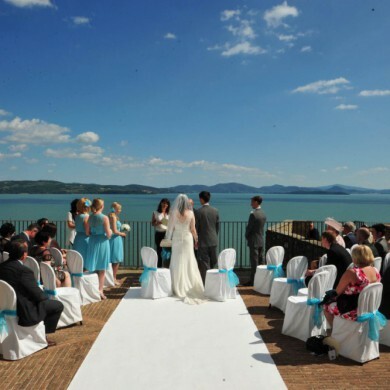 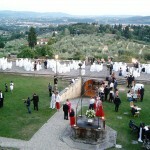 For outodoor weddings, the park provides a spectacular backdrop. 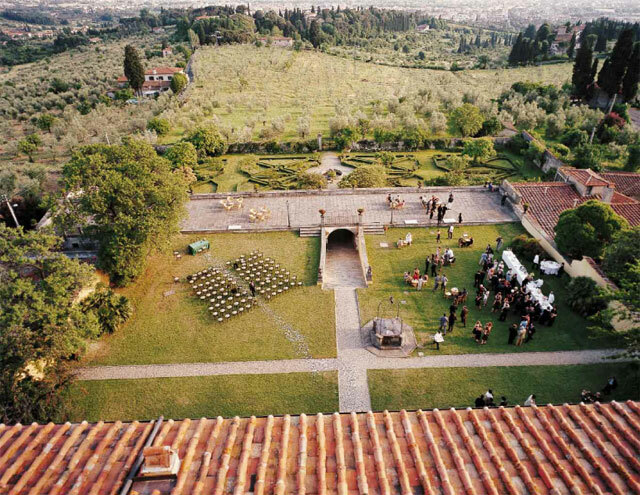 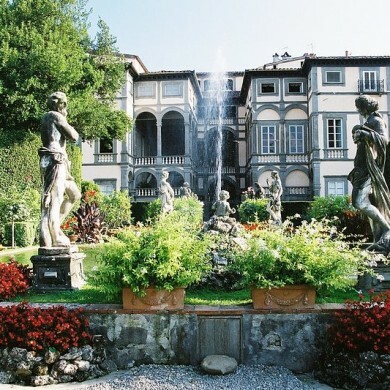 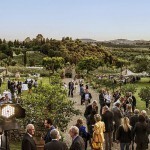 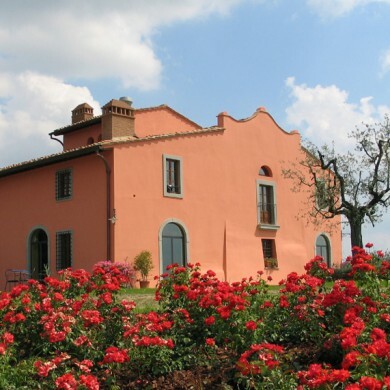 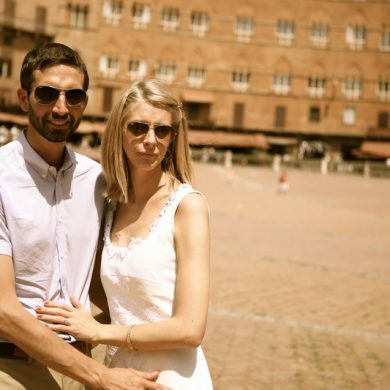 Guests can be accommodated in a farmhouses nearby owned by the same owners of the Villa or alternatively in B&B or Hotels in Florence which is just 5 km away from the venue. 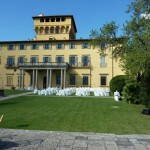 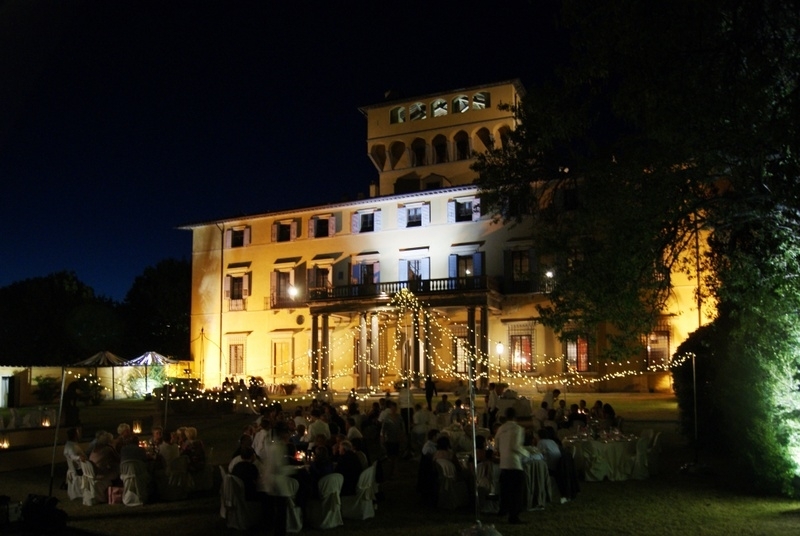 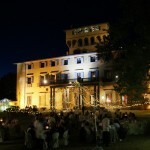 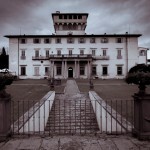 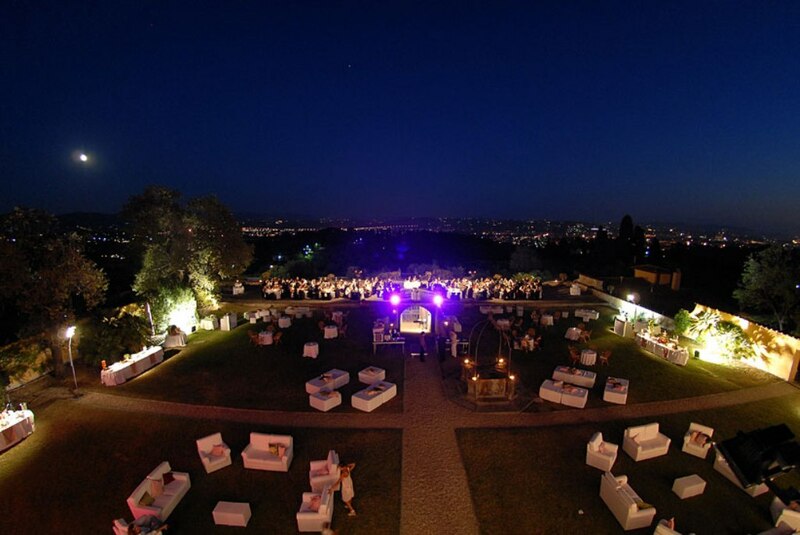 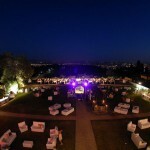 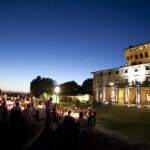 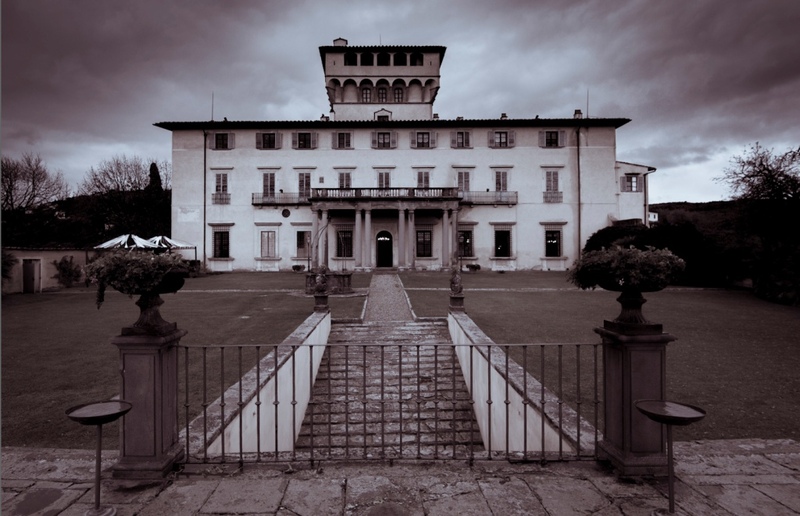 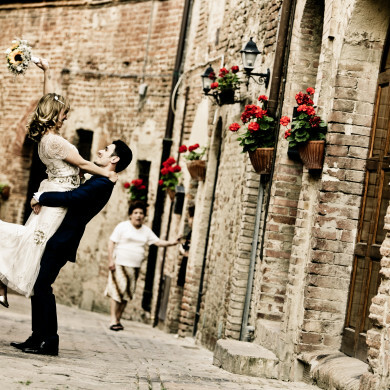 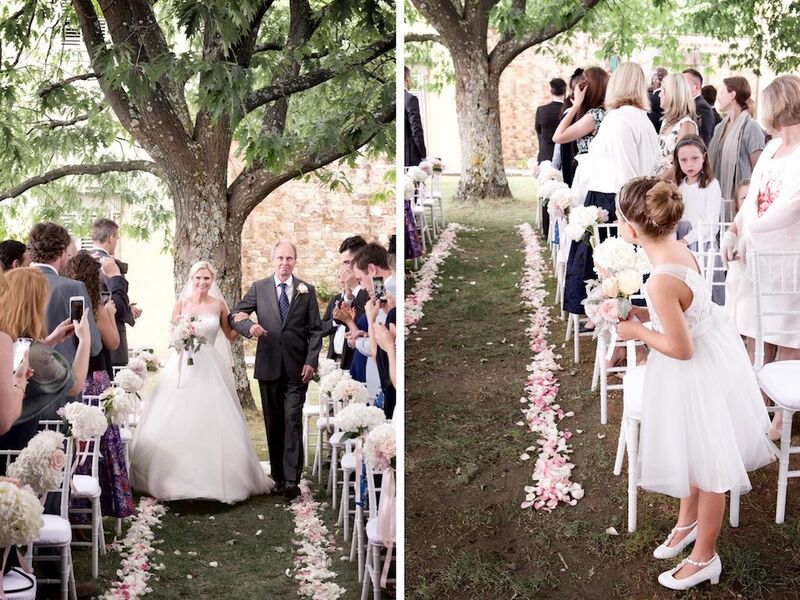 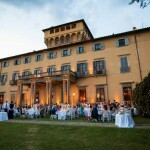 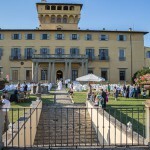 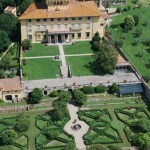 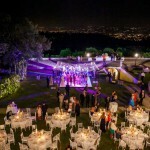 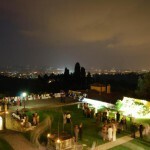 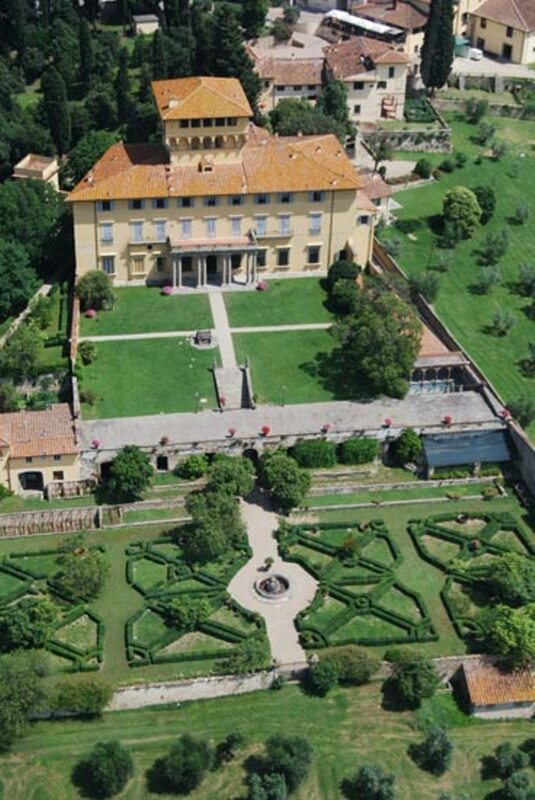 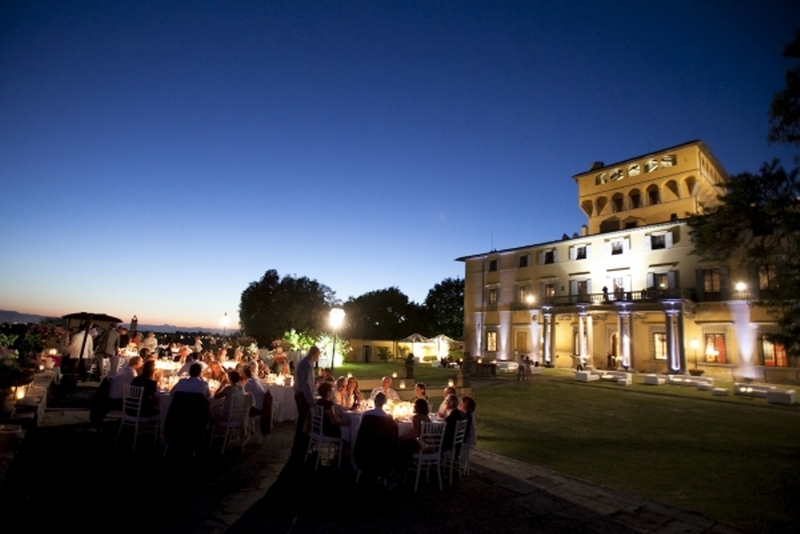 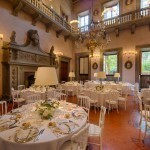 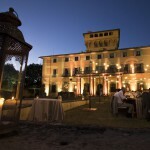 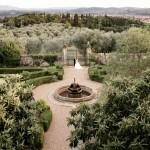 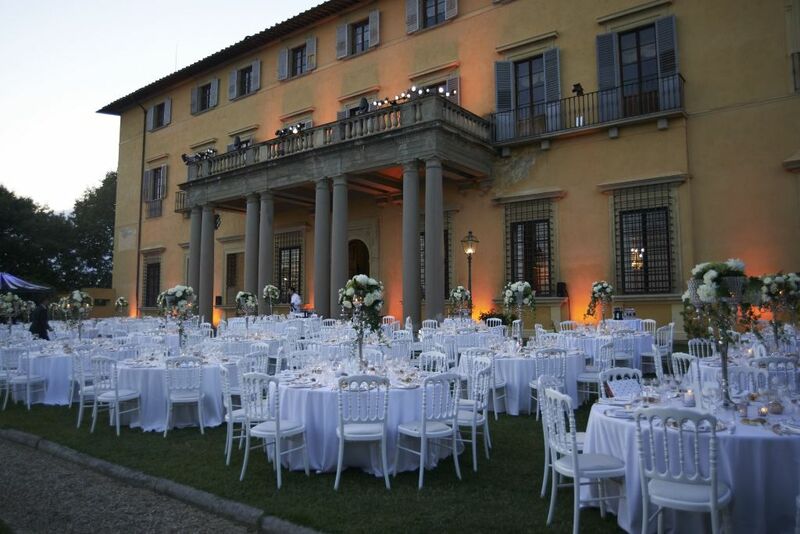 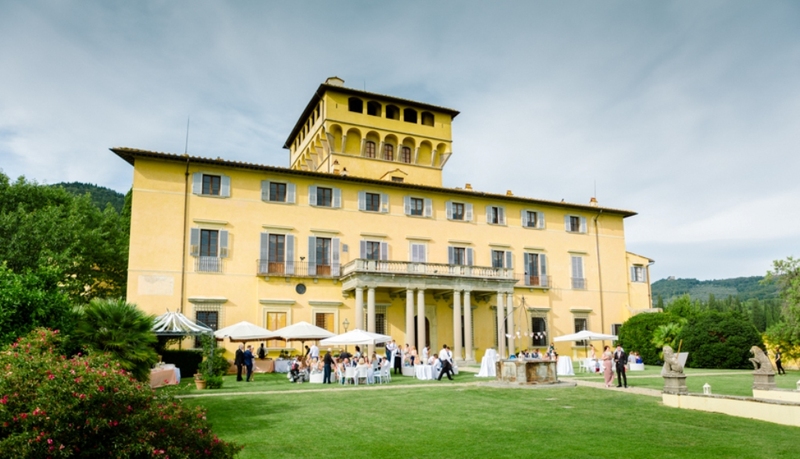 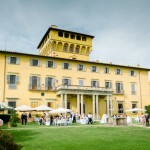 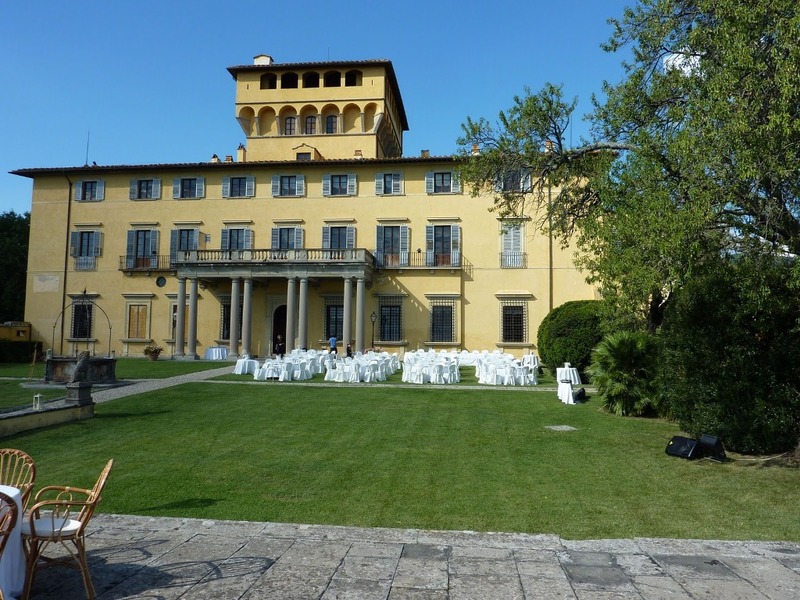 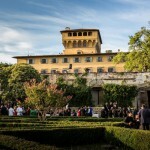 Civil wedding can take place on the site in the gorgeous Park of the Villa. 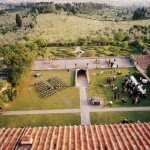 For Religious ceremony there is a lovely Church at walking distance. 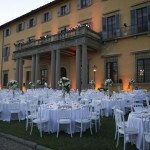 Florence 5 km, Florence airport 10 km, Pisa aeroporto 80km, Siena 70 Km.